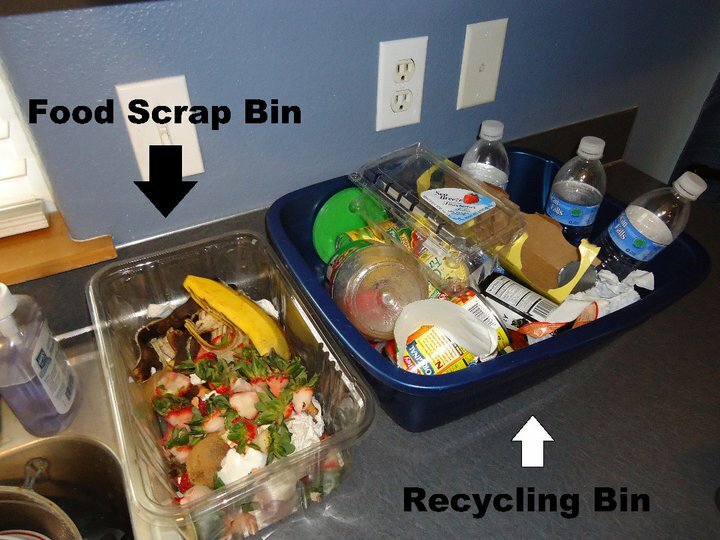 A food scrap bin next to the sink is a great reminder and convenient way to compost leftovers. This contains banana peels, strawberry leaves, and egg shells that will be thrown in the compost bin. If you empty it every other day into your worm bin you can avoid fruit flies. The recycling bin is also a great addition. Previous Recycled Cans Are Paying For These Projects!